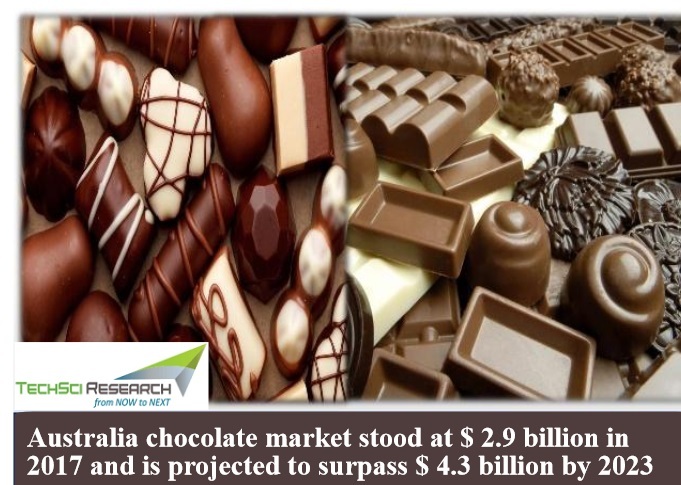 According to TechSci Research report, “Australia Chocolate Market By Product Type, By Category, By Distribution Channel, Competition, Forecast & Opportunities, 2013 – 2023”, Australia chocolate market is forecast to reach $ 4.3 billion by 2023. Rising premiumization of chocolates coupled with growing inclination of leading players towards offering healthy chocolate products targeted towards increasingly health conscious millennial and Gen-Z population, are the major factors expected to boost sales of chocolates in the country over the course of next five years. Moreover, demand for boxed assortments and artisanal chocolates is growing across Australia, as people find gifting boxed chocolates like Ferrero Rocher highly convenient. As demand for premium chocolates is growing across the country, number of exclusive chocolate stores is also increasing. 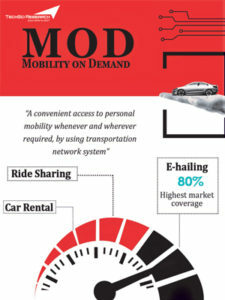 Moreover, more and more people are getting attracted towards high-end offerings such as premium chocolates. New South Wales and Victoria are the largest demand generating regions for chocolates in Australia, owing to huge population base in these regions. Moreover, cities like Sydney, New Castle and Wollongong are located in these regions, which account for a major share of urban population of Australia, thereby further driving the country’s chocolate market. “Over the coming years, chocolate market in Australia is anticipated to grow at a healthy rate, backed by rising health conscious population, growing demand for organic chocolates, rapid expansion of e-commerce industry and launch of innovative products by manufacturers. Additionally, changing taste preferences of people are resulting in the popularity of chocolates, as they are being made available in different flavors, thus providing lucrative opportunities to companies operating in Australia chocolate market during the forecast period.”, said Mr. Karan Chechi, Research Director with TechSci Research, a research based global management consulting firm. “Australia Chocolate Market By Product Type, By Category, By Distribution Channel, Competition, Forecast & Opportunities, 2013 – 2023” has evaluated the future growth potential of chocolate market and provides statistics and information on market structure, size, share and future growth. The report is intended to provide cutting-edge market intelligence and help decision makers to take sound investment decisions. Besides, the report also identifies and analyzes the emerging trends along with essential drivers, challenges and opportunities present in Australia chocolate market.